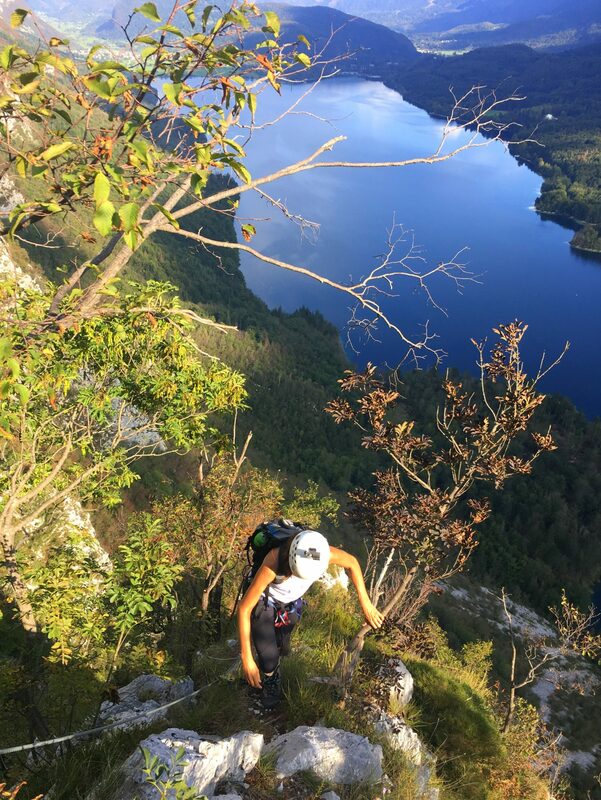 As much as I boast about Slovenia’s autumns being amazing for mountaineering, there’s still a tiny corner of my soul that’s always a little disappointed when October starts to roll around. The cold sets in, the fog sits low in the valleys until late morning or even early afternoon, the daylight dwindles, it’s too early to ski and can be too late to get up into high mountains after unexpected early snowfall. Yet the colors autumn brings make my heart sing (remember last year’s Kranjska Gora and Kobarid?). 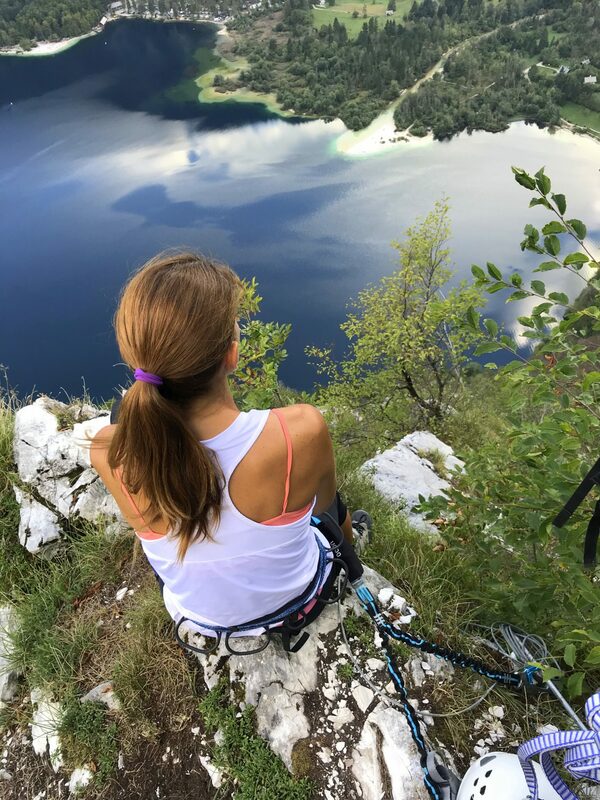 Last week, that autumn heart singing got me wandering around Lake Bohinj, searching for the entrance to its best kept secret to the heavenly views and hell of a climb - a via ferrata called Ožarjeni Kamen (Eng. Sunlit Stone). After the divine views of the lake open, one has no other choice but to take a million photos… so pretty! 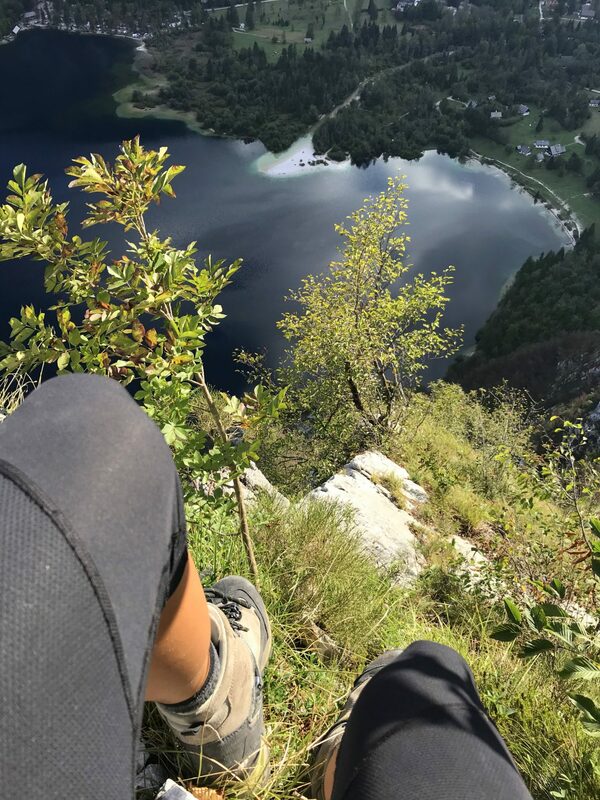 With an inadequately marked entrance point and barely visible track to the start of the climbing part, it’s quite clear that the local authorities weren’t fully on board setting up an extremely difficult via ferrata so close to the massively favored Lake Bohinj. 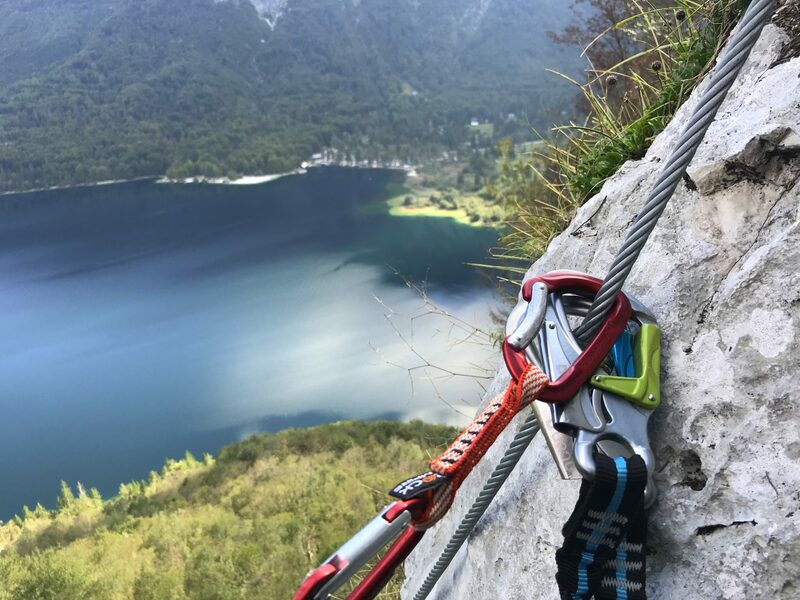 Now that I’ve climbed it, I actually completely understand and agree with the choice to hide the via ferrata from an average adventurer. 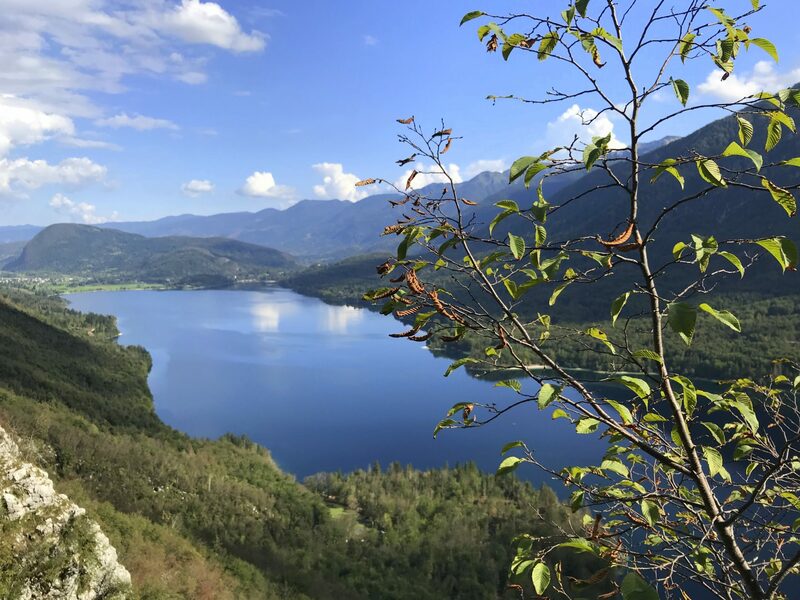 Regardless of how incredibly attractive Ožarjeni Kamen in fact is, unveiling simply breathtaking views of the largest permanent lake in Slovenia, it is largely demanding and as such reserved for only experienced climbers or mountaineers. Ascending 300 meters up over near-to-vertical walls on the northern side of Lake Bohinj, the via ferrata graded D on the UIAA international scale from A - E is one of the few shorter routes in Slovenia intended for sport climbing and not mountaineering (see information on all via ferrata sporting routes in Slovenia). A barely visible track, which begins in Ukanc, leads us first through a forest and then passes scenic but steep scree slopes to the wall named Voket. 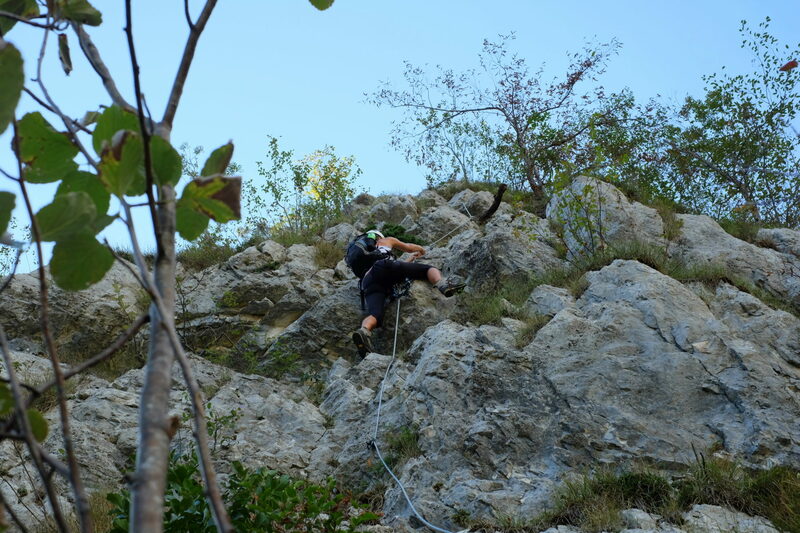 Throughout secured with a steel cable, the route is mostly graded C and as such calls for pleasurable climbing across a sunlit wall (also nice in colder but dry weather!). 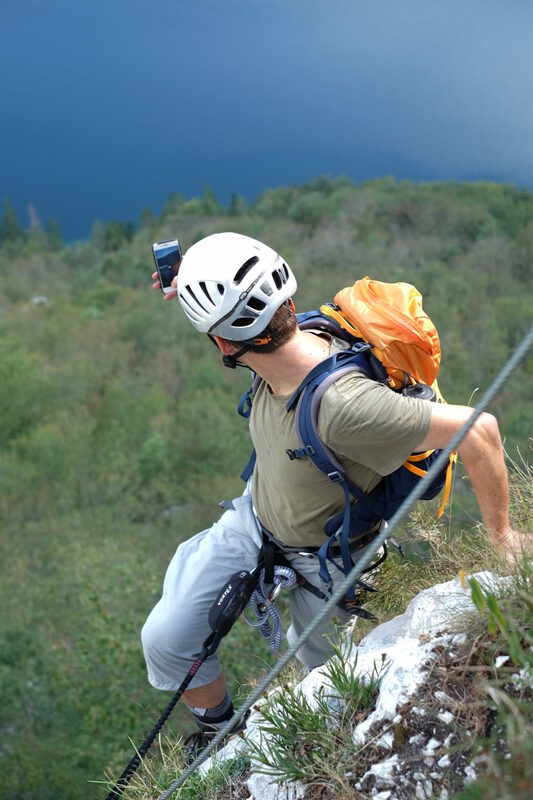 There are four shorter vertical sections graded D, though, which require extra skills, strength, and, most of all, mental readiness. Since there is no option to bail out once climbing it, it’s either in all the way to the top or out without even trying to tackle it. 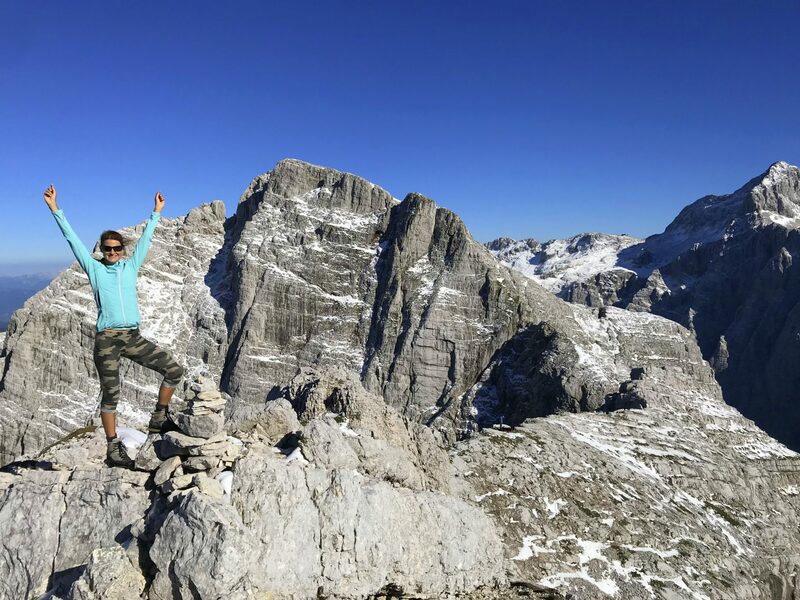 If you want to climb the Ožarjeni Kamen Via Ferrata nonetheless, I strongly recommend you do it with a professional IFMGA mountain guide. 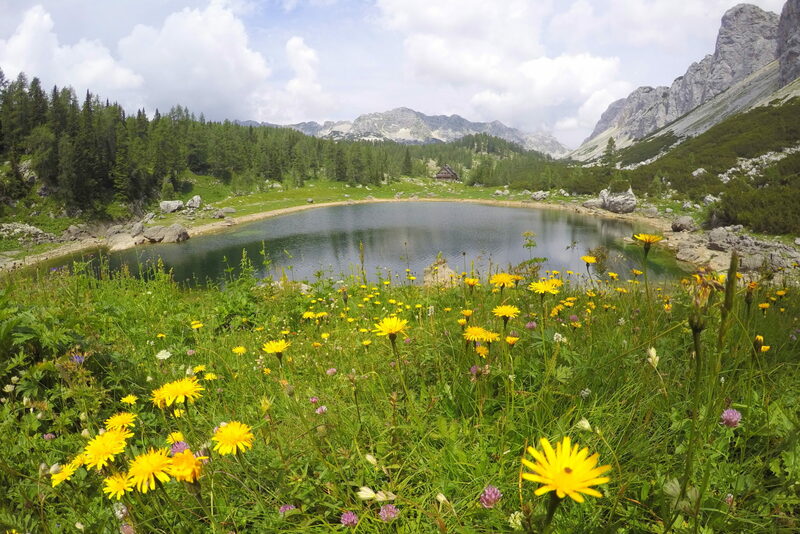 You are welcome to drop me an email at info@exploringslovenia.com to connect you with one! One’s got to sit down and absorb the beauty around them, right? Returning back to the valley basically means running down a large scree slope… woohoo! Anyway, if you decide to follow my steps, have plenty of fun! I surely know I had! 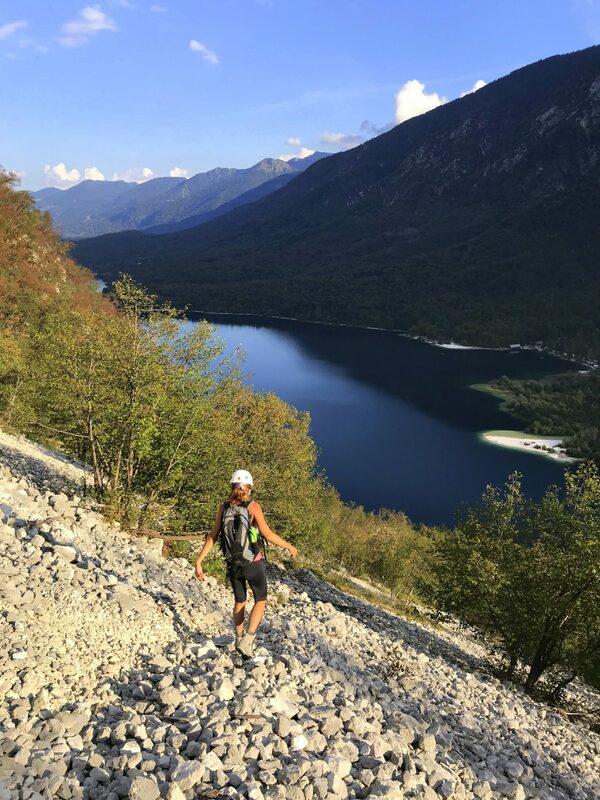 If you think you might need help with climbing Ožarjeni Kamen, drop me an email at info@exploringslovenia.com and I’ll hook you up with an IFMGA mountain guide. Remember, safety always comes first! Cheers!